BILLSHARK will negotiate and lower your Internet Bill. 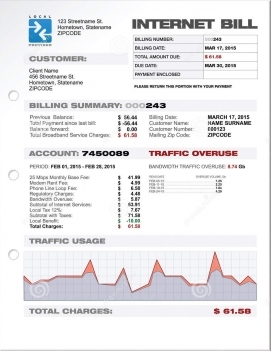 BILLSHARK saves you time and hassle, and we usually lower your bill more than you could save on your own. If we can't save you money, there are no fees. Our fees are 39% of savings. For example, a $1000 savings would be a fee of $390. No risk, all reward. We negotiate Comcast, Xfinity, Time Warner Cable, Charter Spectrum, Cox, Optimum, AT&T, Verizon, Centurylink and all the major Internet service providers in the United States for consumers and small business.